A few nights ago I had two vivid nightmares over the course of roughly six hours of sleep, both involving myself being stuck in the crossfire of gun violence. The locations and the circumstances all felt horrifyingly real, and when I awoke from these bouts of chaotic slumber I had to take a second to remind myself of a much more peaceful reality. It's a strange feeling, that moment in which self created terror and the realization that everything is going to be alright collide. A part of me wants to bottle it and experience that euphoric level of relief whenever I am feeling uneasy. The rest of me hopes to never face that kind of fear in the first place. When someone has a nightmare, the response from a loved one is always one of sympathy, a goal to remind those haunted by their own subconscious mind that there is nothing to fear. I find that not all unsettling dreams are created equal. When I am plagued by visions soaked in realism, I want to run the other way and never look back. To see myself or those closest to me stuck in a situation that taps into my deepest fears isn't a pool I want to dip my toes into. When those dreams are dark yet surreal, when I can remember the smallest details of an abstract and amazing world my mind somehow created, those are the nightmares I welcome. Those are the nightmares that I crave. Unfortunately I don't have those experiences anymore. When I was a child they would dance through my mind with regularity and I always remember being scared and yet excited to relive the imagery throughout the following day at school. What better way to distract myself from reading and math than colorful demons and gorgeous, fictional worlds? I can't help but wonder if this is why I always find myself falling in love with abstract, surreal cinema. Rarely can I comprehend what I am seeing the first time around, hell sometimes I will never fully understand the motivation or thematic depth of it all, but I don't need it to make sense to wrap myself up in the picture as if it were a warm blanket. I just let the seemingly absurd frames and my feverish sweats captivate me and admire the craft of the film rather than try too hard to piece together the narrative puzzle, and that is exactly what I did with the David Lynch classic Eraserhead. Shot in black and white, we follow Henry Spencer (Jack Nance) as he marries his girlfriend named Mary X (Charlotte Stewart) after finding out she gave birth to their "child", an alien looking creature swaddled up in its crib which only makes the entire scene feel more deranged. They move into Henry's apartment and soon after Mary leaves in a rage of panic and tears, falling victim to the constantly crying "baby" and the claustrophobic environment of their home, and I think Mary is a representation of a good portion of the audience of this film that would bail halfway through. One thing that is abundantly clear is that Eraserhead and the work of Lynch in general isn't for everyone, and this is a film that will absolutely fry your nerves and drive you insane, and that even goes for those that adore it. 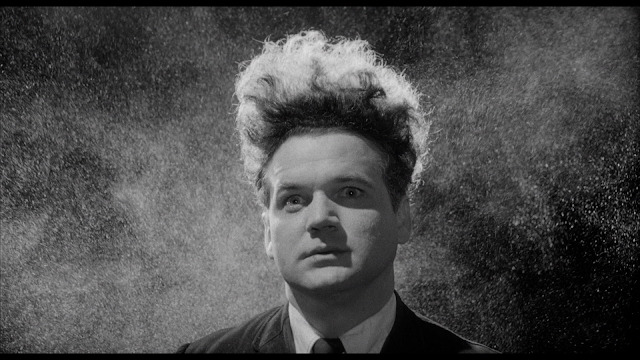 Eraserhead is designed that way intentionally, using space and ingenious sound design to destroy our senses and fill our minds with paranoia and dread. 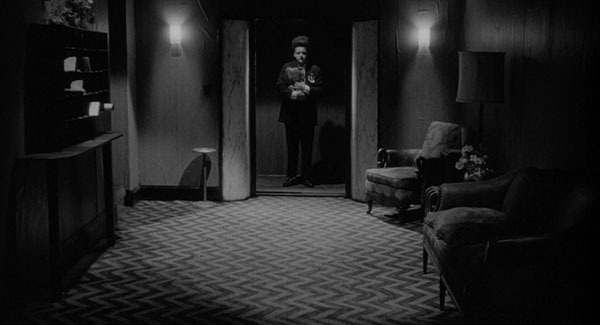 It is impossible to ever feel a sense of calm or normalcy while watching this film because Lynch doesn't want us to. At times while watching Eraserhead I just wanted it to end, yet once it did I kept looking back at this bizarre, memorable journey only to realize how appreciative I was to have finally had the experience. All I can do is cherish filmmakers who craft pictures that feel like the dreams I once had, like more demented adaptations of the films I used to show myself in the middle of the night. It might be difficult for some to understand, but I find the right kind of nightmare to be soothing, perhaps not during it but after when I am able to recognize just how imaginative and wondrous the human mind can be. I honestly didn't "enjoy" this film. I admired it by looking at it as an experimentation in the filmmaking process, how he shot it and used sound is remarkable in doing its job, which is to drive the audience friggin' mad right there along with the characters. I felt worn out at the end, but I sorta look at it as, that's the point, and that's why I rated it as highly as I did.